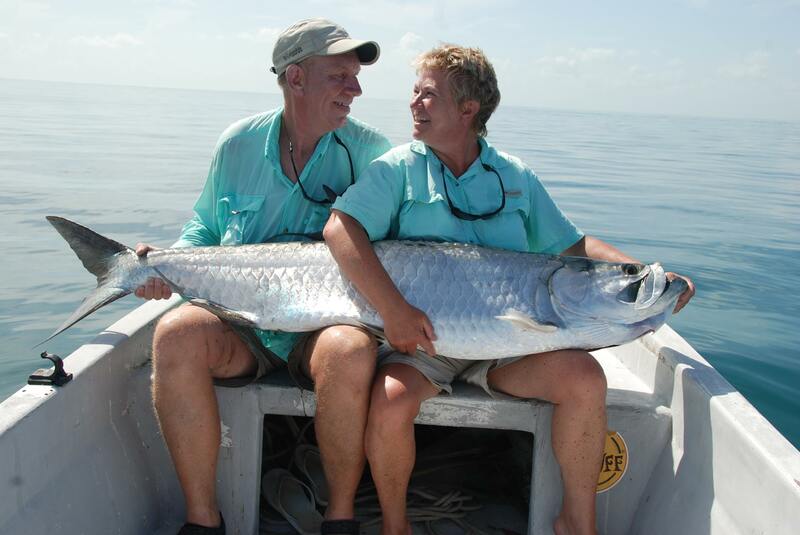 We have a lot of destinations that have tarpon, but no destinations that have as many BIG tarpon as here. This is the place for those who have fished after tarpon before or wish to go after trophy sized fish with possibilities for fish of record size! 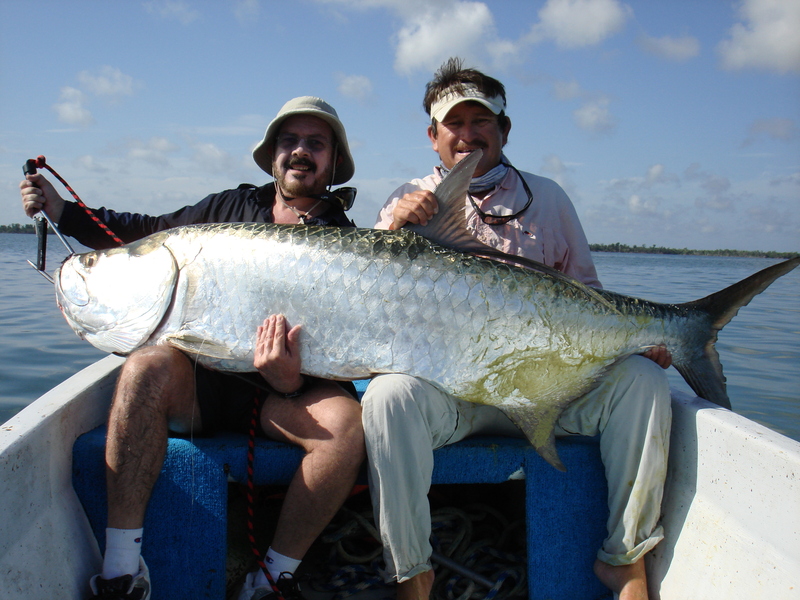 The area is known for its enormous amount of tarpon and those that are fished on are between 80-180 lbs, while there are individual fish over 200 lbs ! 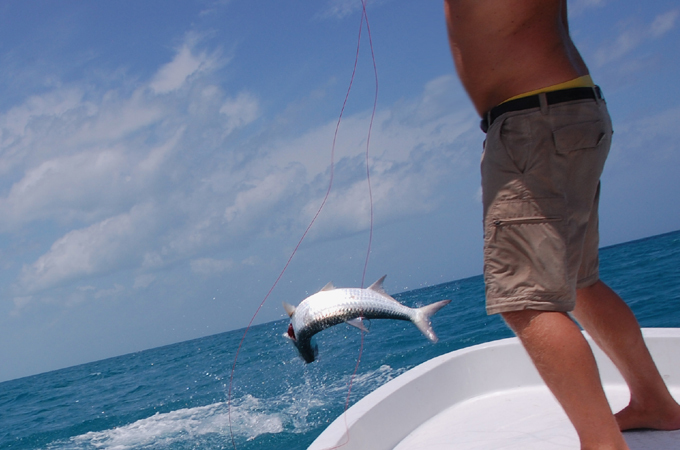 If the weather cooperates, you will find schools of rolling tarpon all over. They are concentrated on top of the large deep flats, outside of the island. 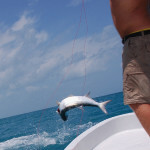 If it is too windy, the fishing switches to smaller tarpon in the mangroves on the back side of the island. 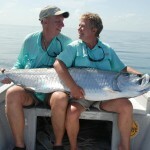 Let’s make it clear right away – this is the trip for those who are simply looking for tarpon – big tarpon! 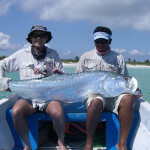 The whole trip is about tarpon, and apart from some snook, snapper and barracudas, it is tarpon we go after in this area north of the Yucatan Peninsula in Mexico. 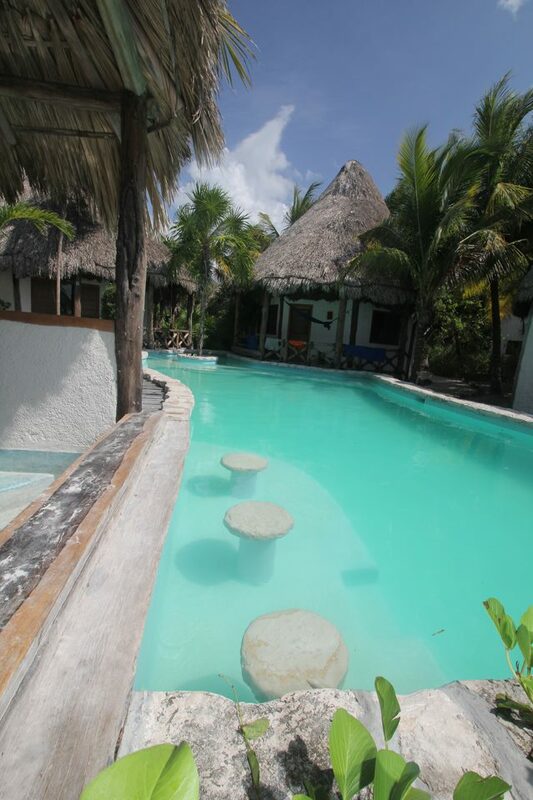 Holbox is a long and beautiful island, with mile-long white sandy beaches. The island is currently a small ‘undiscovered’ paradise, and it is not over-populated with tourists yet. 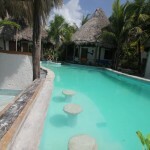 You stay in a cozy beach hotel, just a 5 minute walk from the small town’s restaurants and bars. 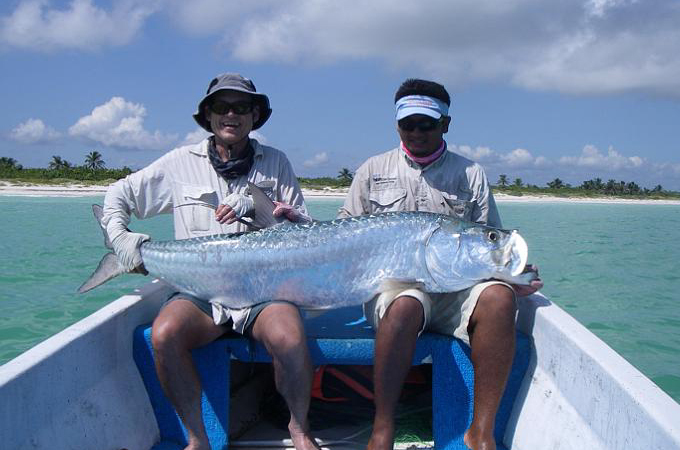 A quick boat trip from the hotel beach and you are on large shallow plateaus in the ocean, where huge schools of tarpon live and eat on the enormous quantities of sardines. 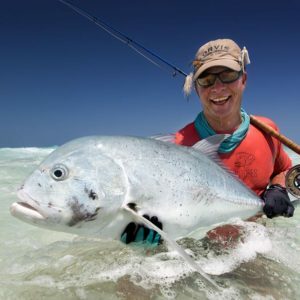 Fishing can be physically demanding, with powerful rods and sinking lines, but out here rolling are some of the biggest schools of giant tarpon in all of the Caribbean. If you get little wind you will throw on rolling schools of tarpon most of the day, and the guides are masters in lining up the boat relative to the schools of fish. It is too deep to pole, so here the guides use their experience to run the boat in front of the school, so you get ample opportunities to make good casts. 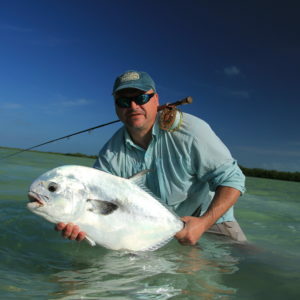 Some days the wind can be too strong, but then you have good fishing for smaller tarpon inside the channels and lagoons in the mangroves on the back side of the island. 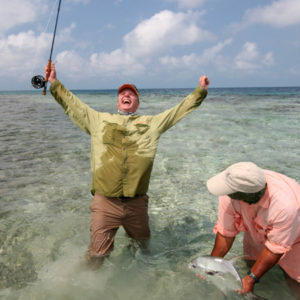 This fishing is fun on lighter equipment, and often results in good numbers of fish.